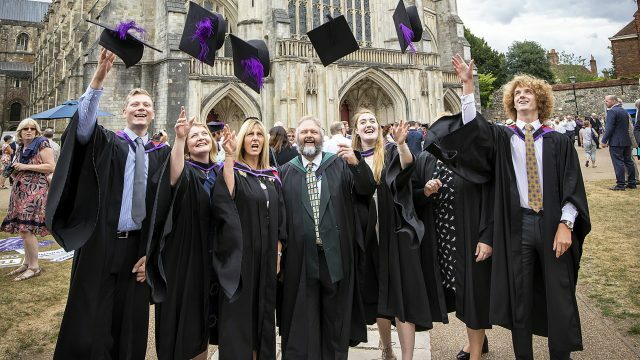 Sparsholt Higher Education (HE) and Level 3 students successfully completing their courses in June, are invited to attend the Presentation Day at Winchester Cathedral on Wednesday 17 July 2019. Which ceremony should I book to attend? There will be two ceremonies: the morning ceremony starting at 11am and the afternoon ceremony starting at 2pm. 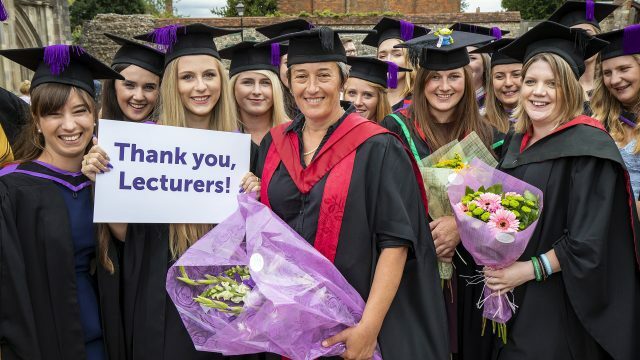 All HE students (MSc, BSc, FdSc and HNC), Accounting AAT Level 4, Diploma in the Management of Zoo Animals (DMZAA), Level 3 Diploma and Extended Diploma students in Sport, Public (Uniformed) Services and Equine. This year, our bookings are being managed by Marston Robing Ltd – to register your attendance and order guest tickets, gown hire (if applicable) and photography, please use the online booking form. To make your booking, you will need your student ID number (which will look like this: WHI12345678, and is your Sparsholt number and not your Portsmouth ID number). You are able to invite up to two guests to attend the ceremony with you; though you can request to be placed on the waiting list for additional tickets (which you will be contacted about once booking closes). Student tickets are free, as are tickets for children under 16 years of age. Adult guest tickets are £16 each. Please make sure you buy your ticket before the event, via the online booking form as detailed above. I requested extra tickets. How can I book these? All extra ticket requests will be looked at after the initial closing date of Friday 28 June 2019; after this time and if extra tickets are available, you will be emailed instructions (to the email address given in the original booking) to let you know how to book these. Please do this as soon as possible once you receive the email. Deadline for ordering extra tickets is Friday 12 July 2019. WHEN YOU COMPLETE YOUR BOOKING YOU WILL BE SENT AN ‘ORDER CONFIRMATION’ EMAIL. PLEASE PRINT THIS OFF, AND BRING IT WITH YOU: IT SERVES AS YOUR ADMITTANCE TICKETS. Please note: We also need to know if you do not want to attend Graduation Day – please email marketing@sparsholt.ac.uk to let us know. Photography and gowning will be available from 9am for the morning ceremony. Photography will open at 12.45pm for the afternoon ceremony, and will remain open until 5pm. 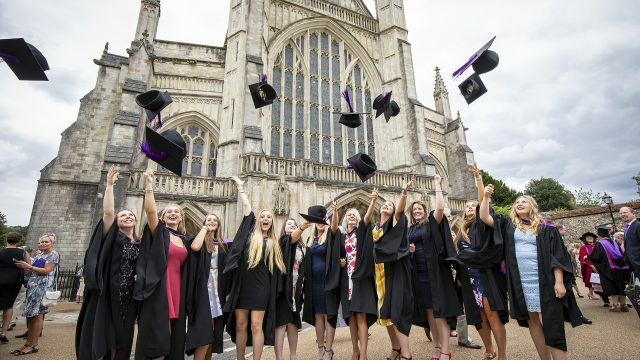 Students requiring gowns are encouraged to arrive in plenty of time to allow for this, but all students and guests should arrive at the Cathedral no later than 30 minutes before their ceremony is due to commence. Students will be seated by academic staff in specific sections of the Cathedral. Guests will be ushered to their seats. It is estimated that each ceremony will last approximately an hour and a half. If you need to book a robe for Graduation Day, you will be prompted to do so when you are ordering your tickets through the online booking form. Only HE students will be prompted to book a gown. Gowning will be available in the North Transept of the Cathedral from 9am on the morning of the ceremony; signage will be in place across the site to direct students accordingly. Gowns should be returned after the ceremony, by 1.30pm at the latest. Please dress appropriately for this formal occasion; that is NO jeans, sweatshirts or trainers. The College reserves the right to exclude unsuitably attired students from the ceremonies. For students requiring gowns, please click here for more information about what to wear under your gown. Please be advised, that there is NO parking available in the Cathedral Close. Click here for a map of the car parks in Winchester City centre. Those wishing to avoid parking in the City centre may want to use the Winchester Park and Ride service. Marston Robing Ltd are providing photography packages for students at Graduation Day. When you confirm your attendance through the online booking form, you will be given the option to purchase photographs in advance of the day – full details of these packages and the associated prices are provided in the online booking form. You can also order photography on the day of the ceremony – prices are the same as those paid online in advance of the event, with a wide range of packages available to suit every budget. Photography will open at 9am for those students attending the morning ceremony, and at 12.45pm for those attending the afternoon ceremony. Located in the North Presbytery Aisle of the Cathedral, Photography will be well-signposted across the site and will remain open until 5pm following the afternoon ceremony. Both the morning and the afternoon graduation ceremonies will be recorded in high definition. Copies of each ceremony may be downloaded free of charge after the event. We anticipate that these videos will be available from the first week in August (allowing for editing time); when ready, a link to the hosting website (Vimeo) will be made available here on the main Sparsholt College website. Please be aware that if a student is unable to attend the presentation ceremony, it will not be possible for parents, guardian or other guests etc. to collect awards during the ceremony. They may however be requested after the day of the ceremonies (please contact marketing@sparsholt.ac.uk). Certificates will be sent to the students as they become available from the Awarding Body. Please ensure that the College has an accurate and reliable postal address for you. We very much hope that you will able to attend this day to celebrate completing your course. Students, guests and staff attending should be aware that graduation ceremonies are regarded as public events. Names (and academic sections) of successful students (including those graduating in absentia) are published in the ceremony programme and provided to local press and media. Audio and visual images of the ceremony are publicly available via download of HD videography of the ceremonies, photographs, and may be used in College publicity. 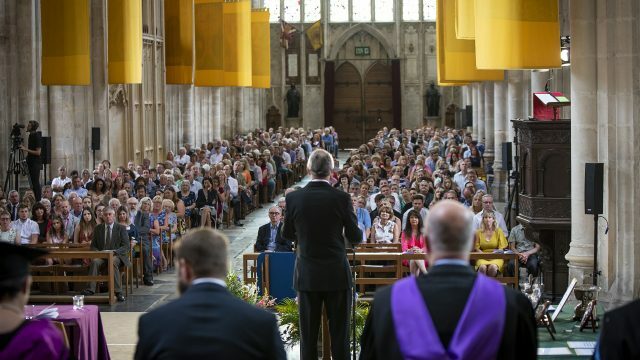 If you have a question or query relating to the 2019 graduation ceremonies, please contact the Events team at Sparsholt by email (marketing@sparsholt.ac.uk) or by telephone (01962 797562). 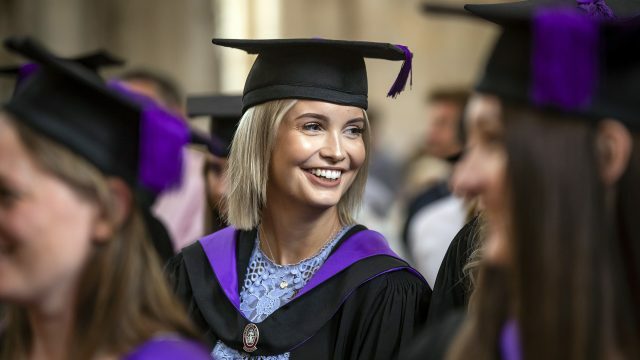 Questions relating to gowning, photography or ticket purchases should be addressed directly to Marston’s Robing Ltd by email (info@yourgraduation.co.uk) or by telephone (01264 339706).